I love books. I loved books prior to entering the Blythe hobby, and that love of books didn’t get dwarfed by the always growing doll family. Beyond the staples of This is Blythe and Blythe Collection Guide Book, I have an assortment of other books – all related to Blythe. The majority of these books are sewing related (let’s not discuss how little I actually sew in comparison to the amount of books that I have…), and some of them are just mooks that happen to have a few patterns in them, but are also filled with articles and lots of beautiful photos. I used to buy up these books at an alarming rate (!) to the point where I could have probably bought another doll for how much I put into the books, but I do love them. I’ve slowed down considerably in recent years – this is mostly due to the lack of shelf space rather than lack of funds. 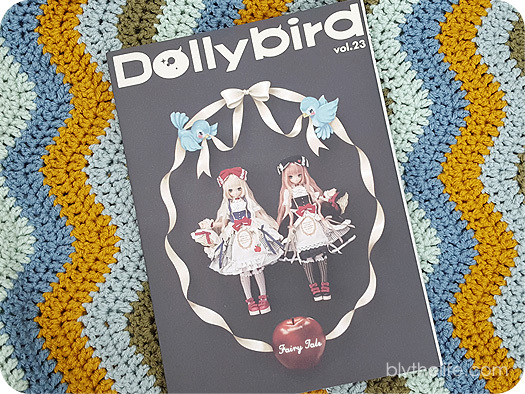 My most recent acquisition is Dollybird Vol. 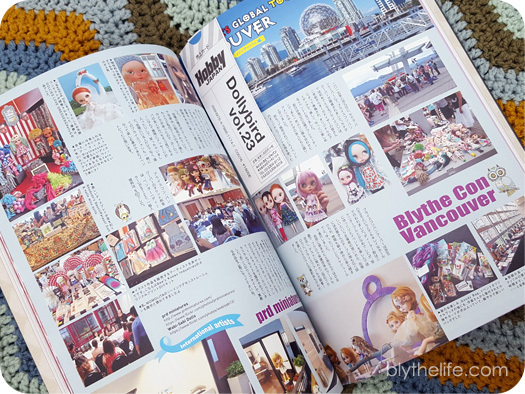 23, which has an article featuring BlytheCon Vancouver! As many of you may recall, I was one of the organizers for the first Canadian BlytheCon. When I found out that the mook would have a feature on BlytheCon Vancouver, I had to get it. It was clearly part of my organizer duties to get my hands on it (even though I got it in hand several months after the fact). 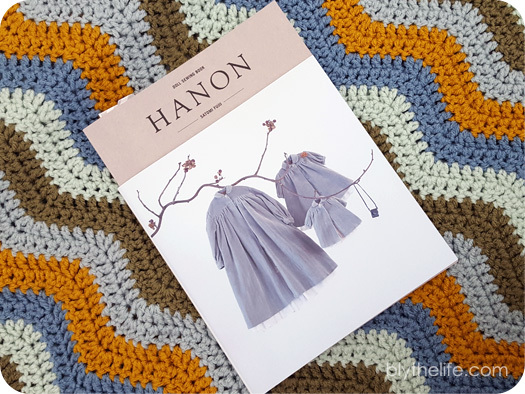 My other most recent purchase is a copy of HANON’s DOLL SEWING BOOK. Beautifully detailed with very clear photo instructions (with written instructions in both Japanese and English – very important if I ever decide to actually sew something out of it!). There are still some books that I would love to get my hands on (some more of the Doll Coordinate Recipe issues, for instance), but at the same time I’m more picky about what doll books I go out and buy now because I have so many. Decisions, decisions! 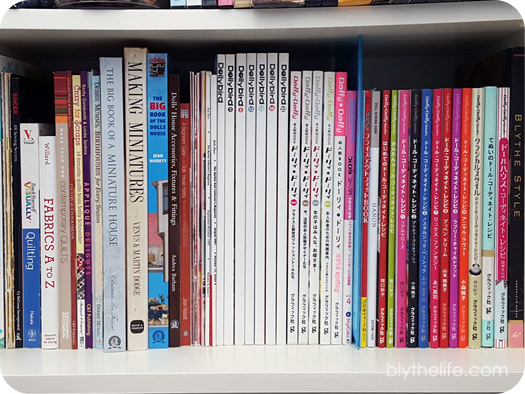 What Blythe related books do you own? Do you have any to recommend? Share your thoughts below in the comments! I am sooo jealous of your book collection!!! I thought I was the only person who read stuff like this. However, I must say my book collection looks quite similar! I even have those Comickers ‘cept they belong to the library. I don’t have any Dollybirds yet, but they are def at the TOP of my list, and I will definitely have to check out the Hanon book. I’m totally looking for it on Amazon RIGHT NOW! 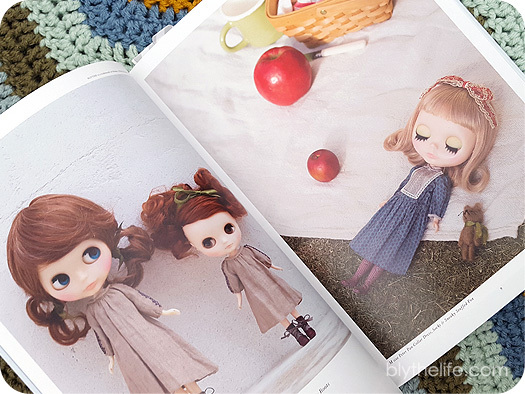 I just have a handful of Blythe-related books, but I love them! I haven’t sewn many patterns from the couple of Japanese Dolly books I have, but I do look at them and use them as inspiration quite often. I always want more of these, of course! I have The Doll Scene. I like to look at the customs in the book. Aside from that, I don’t have any other books. Maybe I’ll buy some when I go to Asia sometime in the future.